The Annual Aero Model Engine Auction at Gildings is something of a unique event in the calendar for this niche and yet dedicated field of collecting. It is the only stand-alone auction in the UK dedicated to the avid collectors of micro engineering masterpieces. Every November, enthusiasts turn up in strong numbers to battle it out for the rarest aero engines around. The sales are often compiled from key and prominent collections, alongside smaller consignments from private vendors looking to evolve their own collections.The auctions also incorporate aero model kits, and tools and ephemera associated with the pastime. 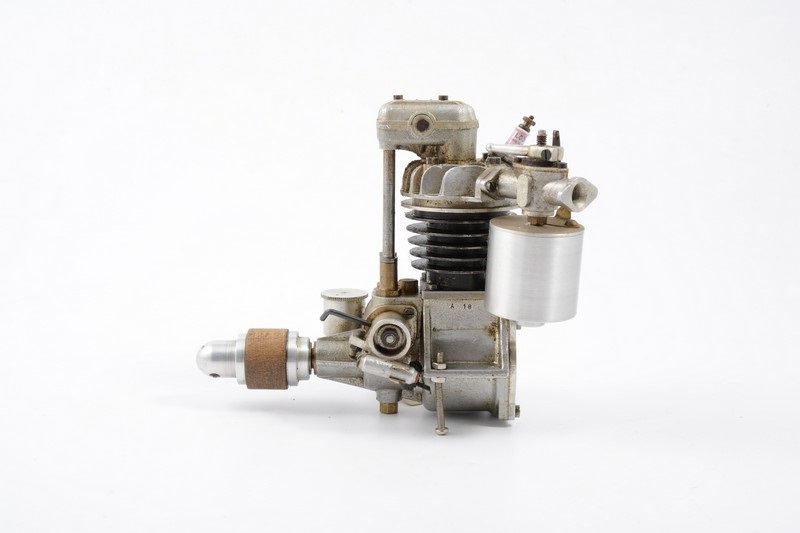 We host the annual auction of Aero Model Engines on the first Saturday in November. The auctions can be viewed at our saleroom in Leicestershire, with easy transport links via road and rail. If buyers are unable to attend the auction, they can bid online, via the telephone, or leave an absentee bid. In some years it has been necessary to conduct a second auction of this nature in May. If you would like to be kept informed of our Aero Model Engine auction and events, sign-up to our dedicated newsletter. We’ll alert you to upcoming auctions, consignment closing dates, and other Aero model-related news and valuation days. Or if you’re looking for something specific, create an account and set up a Lot Alert - we’ll send you a notification of anything meeting your criteria coming up for auction with us. If you have aero model engines, kits, or related material you would like valued for auction it couldn’t be easier. You can submit an enquiry via our Valuations Form where you can upload images and details of your items. Often in this area of collecting, collections tend to be quite sizeable. It is often best to Contact Us and let our consultant speak with you to discuss your needs. It may be an initial home visit is best to understand the nature of the Collection. Gildings can also provide professional valuations of aero model engines , for insurance or probate purposes. As a professional valuation there would be a charge for this service. Please contact us to discuss further.